Thesis on DC Reform: Alternatives to Averting this "Crisis"
Marvel NOW! and Uncanny Avengers: Relaunch or Reboot? DCU Reboot: Young Justice: A Joke Right? Solution 1: Continue excluding marketing to present readers at your own risk. If you're only issuing press releases to CBR, IGN, Newsarama, Comic Book Bin, etc. then you're only advertising to the one-hundred thousand people that already read comic books. Furthermore, if the only press you're getting from mainstream media is about heroes dying (Steve Rogers, Bruce Wayne, Johnny Storm) it usually elicits an eye-roll from the average news program viewer/periodical reader. If you're actually lucky enough to snag new readers via those morbid announcements, the readers are almost instantly faced with your ridiculous ruse: "oh, yeah, Steve and Bruce weren't dead. They were trapped in time by...uh...time bullets and omega beams." I'm pretty sure I wouldn't be sticking around for that garbage either if I wasn't part of the minority that had been reading and collecting comics since childhood. Take out full page ads in Time, People, hell, even Tiger Beat, for god's sake! Anything! Buy banner ads on all the leading news websites. Air some tasteful late night tv commercials during Conan or Jimmy Kimmel. Most of all, throw a bone to the comic shops that have supported your asses for all these years: make it easier for people to find those shops if they're not purchasing digitally. Your average bloke knows nothing about the Comic Shop Locator. Solution 2: Contract new blood, contract higher-profile literary talents, and hire popular creators that have proven themselves in the indie market. 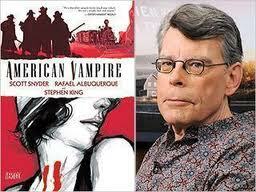 American Vampire and the Dark Tower graphic novels are surely experiencing the King bump. I know, I think DC really tried to do that last one with Jeff Lemire, but when you're trying to revamp your whole line, adding one new creator to the existing formula is just going to stifle that one creator (unless we're talking about Scott Snyder, who is a runaway success). It's time for a massive overhaul. Sure, Geoff Johns, Jim Lee, and Dan DiDio have been instrumental (maybe a decade ago) in DC's success, but loyalty to their tired tropes is only holding the publisher back. This is business, not a fraternity. You aren't owed anything for "Hush" or your JSA stories other than what you've already been paid for them. 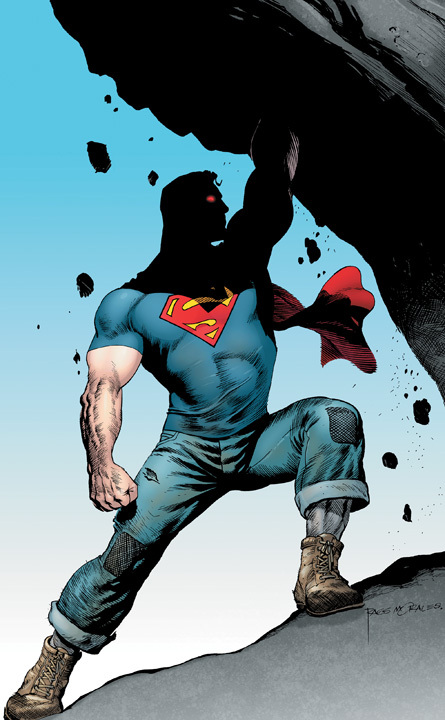 It's time for the Geoff Johns regime to go the way of Jim Shooter: underground for a bit, and then perhaps they can come back to the medium after a few years in some capacity other than as editors. Why not bring talents like Gerard Way into the DC fold? Bring Stephen King in for a few issues of Detective or Swamp Thing. Award-nominated Doctor Who scribe Paul Cornell obviously attracted a lot of attention when he came on board for Action Comics' "Black Ring" arc, and David Liss has been a relative smash hit for Marvel, so contract some authors of that caliber, effectively bringing some of their readers with them. What I really can't stress enough is OVERHAUL. That's what this relaunch is ostensibly aimed at anyhow, so why are we retaining these lame duck creators that the general public have absolutely no affinity for? Sorry, George Perez, Scott Lobdell, Judd Winick, but it's time to go Marvel or go indie. I understand contracts and all that, but maybe you shouldn't have shown your hand until their contracts were up then. Loyalty is weakness in the business world. You obviously don't have much loyalty toward your dwindling fan base, so why remain stalwart in defense of the folks that lost you your credibility in this first place? Oh, and post-script here: Stop letting your amazing Vertigo talents slip through your fingers! Scott Snyder has proven to be a windfall for you guys. Can you even imagine what DC would be like if you had kept Mike Carey or Jason Aaron exclusive as well? Solution 3: So, you're not going to the 2011 SDCC because fan support there hasn't translated to box office success in the past, WB? Well, make consistently better genre movies. Bad movie = Bad turn out. It's a recession. You can't go around blaming the two-hundred fifty-thousand attendees at Comic Con for poor ticket sales on Sucker Punch and Tron: Legacy. When your films range from mediocrity to pure filth, the few people you do draw in will be the fans from Comic Con and a few other stragglers who are suckers for blockbuster duds. The rest of the population will go on Rotten Tomatoes and see that your films were panned by critics. Not that box office sales really equate to financial success these days, anyway. Blu-Ray and DVD sales and rental profits for Tron surely put plenty of green in your pockets, so stop bitching and stop projecting your theatrical shortcomings on viewers. You made movies that weren't good. Your fault. And you really didn't think The Dark Knight Rises and the new Superman would get a better turn out than Tron and Sucker Punch regardless? TDKR teasers would have been the talk of the entire film-going populace. Another dropped ball on your behalf. If every genre motion picture you released was held to the same high standard as your current Chris Nolan Batman franchise, you'd be making more money than you could ever possibly know what to do with. Solution 4: If monthly printing costs have gotten you down, why not change the name of the game all together? Contract a new high-profile creative team every few months to put together a trade book. These trades can act as serialized compendiums, each one incorporating the continuity of previous books, but on a larger comprehensive scale than monthly magazines. This might appeal more toward your Harry Potter- and Twilight-savvy literature crowd. People would be chomping at their bits for the next Batman or Action Comics trade written by Scott Snyder or Grant Morrison. In absence the heart grows fonder. Also, this way you can accurately gauge demand ahead of time and publish the appropriate supply to meet that criteria, not leaving copies of some book stranded on store shelves for months at a time. Waste not, want not. Collectibility becomes an issue then, and so does comic shop sustainability somewhat, but so what? You're attempting to cater to a new audience anyway. Do you think a thirty year-old light fiction reader who's new to the medium is going to want to start storing boxes of comic books in his closet space? No. Serialized graphic novels are the way to go to target these people. Who knows? First printings might go the way of first print Rowling books, flying off the shelves and becoming collectible regardless. It's a radical plan, but it begets radical change. Isn't that what you're trying to get, DC? But perhaps that in and of itself is a problem as well. You risk alienating current readership with your retcon, but your efforts are also too timid to attract the new readership that this is all aimed at in the first place. Pardon another cliche, but you've put yourself down river and threw your paddle overboard. I don't see any evidence of this reboot bringing in more than a few thousand new readers, but perhaps stranding a few hundred readers simultaneously. 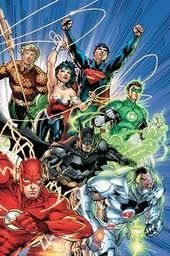 DC's relaunch is a temporary band-aid, not permanent fix, and, mark my words, they'll find themselves in a bad way once again much sooner than they might think. TPBs, not single issues, like Kirkman's The Walking Dead collections may be the glue keeping this fragile medium together.